The Lion belongs to the 7 figures of Spooner's "Moving Animals". The rotating input shaft moves two levers. 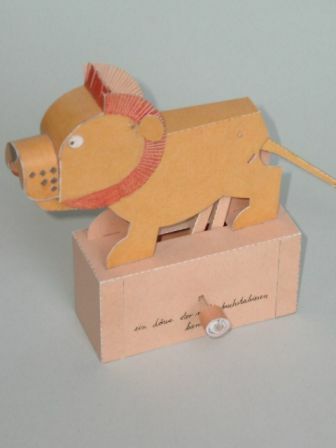 One of them pushes a balloon with an inscription out of the lion's jaws, the other lever lifts the tail.